The following Business Terms and Conditions have been drafted in the German language and may be downloaded by the Customer onto its main storage device. Upon request, they may also be requested in digital or written form by submitting an inquiry to the company’s mailing address or the e-mail address info@erichbaumeister.com. The Erich Baumeister GmbH Company operates a home page for commercial purposes at the domains www.erichbaumeister.com and www.dekopack.de. 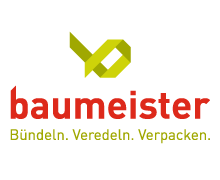 Erich Baumeister GmbH offers products for purchase upon the Internet at these web sites, mainly as the supplier of elastic string, textile loops, tying machines and wreath binding equipment. (1) The Customer shall have the option of choosing and ordering products upon the aforementioned web site. (2) The Customer shall receive a special product description for each product upon the web site. The Customer shall also receive this product description in printed form when the ordered goods are delivered to it. (3) The Customer may click upon the products it desires upon the web site. They shall be placed into a virtual shopping basket and the Customer shall receive a list of the products with the final total price including the German VAT when its purchasing is completed. (4) Before submitting the order, Erich Baumeister GmbH shall provide the Customer with the opportunity to review and, as required, correct the order with regards to the accuracy of its contents, particularly with regards to price and quantity. The right of rescission shall not be valid for orders made by companies or self-employed persons who order the goods for professional purposes. No right of rescission shall apply if the goods have been produced based upon special specifications requested by the Customer or are clearly customised to personal requirements or, based upon their quality features, are not suitable for being returned. In the event that a justified return is made, restitution shall be made for any payments/performances and, where applicable, any benefits (e.g. usage-related advantages) received by either party. In the event that the goods have deteriorated, damage compensation may be demanded. This shall not be valid if the deterioration of the goods is attributable exclusively to their examination – such as would have been possible with a Customer in a shop, for example. Otherwise, the Customer may avoid its obligation to provide damage compensation by not using the goods as an owner would and refraining from doing anything which would compromise their value. If the Customer has financed this agreement through a loan and avails itself of its right of return, then it shall also no longer be bound to the Loan Agreement if both agreements form one financial entity. This must particularly be assumed if Erich Baumeister GmbH is likewise the Customer’s lender or if the Customer’s lender avails itself of Erich Baumeister GmbH’s cooperation for the financing. If Erich Baumeister GmbH has already received the funds from the loan when the effective contractual rescission or return is made, then the Customer may not only assert claims based upon the reversal of the transaction against Erich Baumeister GmbH, but rather also against its lender. (1) The prices listed upon the Internet web sites shall be valid at the point in time that the order is made. (2) The prices are understood to be ex works from Erich Baumeister GmbH including VAT without any costs included for packaging and shipping. (1) The offers of Erich Baumeister GmbH upon the web site are considered to be non-binding. Thus, in the event that the respective goods are not available, Erich Baumeister GmbH shall not be obliged to supply them. However, the conclusion of an agreement shall be considered to have been realised and thus a binding contractual obligation for the individual performances shall be considered to exist insofar as Erich Baumeister GmbH has confirmed the Customer’s order in text form. (2) Erich Baumeister GmbH shall be entitled to supply goods which are comparable in quality and price if the ordered goods are not available and the Customer has declared its approval to do so on the order form. Erich Baumeister GmbH shall process orders within one working day’s time and shall notify the Customer as to whether the products requested are available. Insofar as the ordered products are available, then Erich Baumeister GmbH shall deliver them within one working day after receipt of the order. Above 30 kg, delivered either via a parcle service (multiple-parcle shipment) or a shipping company based upon the respectively most cost-effective variant. Foreign deliveries shall likewise be sent based upon the respectively cheapest option by parcel service/ a shipping company. Upon inquiry, a list of freight costs can be provided. Erich Baumeister GmbH shall promptly respond to any Customer inquiries about orders already made which relate to changing, adding to and/or reducing the scope of the order. Insofar as the Customer wishes to change, add to and/or reduce the scope of the order up to 2 working days before the planned delivery is made, then Erich Baumeister GmbH shall take this into consideration if possible. (1) Textile loops: Deviations in length of +/- 1 cm must be tolerated by the Customer. (2) Quantity-related deviations: Delivery overages or underages cannot be avoided owing to technical reasons (actual quantity is stated on the order confirmation). (3) During production, a relatively small number of defective goods cannot be avoided for technical reasons and thus a percentage of up to 5 % (per execution) of defective goods may not be objected to, regardless of whether the defect is related to processing or print quality. Likewise, we reserve the right to have a quantity-related discrepancy of up to 3 %. (1) The ownership to the supplied goods shall only then be transferred to the Customer if the Customer has paid the purchase price for the goods supplied. (2) In accordance with the following provisions, the Customer shall be authorised to resell the goods that are subject to the reservation of ownership and shall assign its payment claim from such a resale to us. a) The Customer shall be authorised to sell such goods only to such third parties who have not forbidden or restricted the assignment of the payment claim held against them. The Customer shall not be authorised to do so as long as the assignment of its claim from the resale remains invalid owing to other reasons than those stated in the aforementioned clause. Furthermore, the Customer shall be authorised to resell the goods only if the goods subject to a reservation of ownership have been designated by it for resale at the time that delivery is made. b) The assignment to us of the Customer’s payment claim that is derived from the resale shall be limited to the invoiced value of the goods we have supplied. c) The Customer shall be authorised to collect the payment claim that has been assigned to us; this shall not apply if and as long as the Customer finds itself in payment default with a secured payment claim (Clause 1), is insolvent or insolvency proceedings have been opened with regards to its assets. (3) The Customer shall be obliged to promptly make notification in the event that a third party asserts a claim against the goods subject to reservation of ownership or they are moved to a different location and to provide us with all information and documents in this regard. Any resulting costs must be assumed by the Customer. The same shall be valid in the event that the goods are damaged or lost. (4) In the event that default exists, a claim to return shall be valid for the goods specified in Clauses 1 and 3. The demand for the return of the goods shall not be considered to be a rescission from the agreement insofar as § 503 Para. 2 BGB [Civil Code] is not applicable. (1) Erich Baumeister GmbH shall issue an invoice to the Customer for the goods ordered which shall be submitted to it upon the delivery of the goods. Erich Baumeister GmbH shall supply the goods against advance payment/the issuance of an invoice or make COD deliveries. Advance payments shall be taken into consideration when the invoice is issued. In the event that delivery is made against an invoice, all invoiced amounts must be paid by no later than 20 days after the date of the invoice. (2) Prices stated on the invoice are always net prices plus 19 % German VAT. (3) In the event that the Customer has committed payment default and the Customer is a consumer, the Customer shall be obliged to pay default interest in the amount of 5 % above the base lending rate to Erich Baumeister GmbH unless Erich Baumeister GmbH can document a higher rate of interest. In the event that the Customer is an entrepreneur, Clause 1 shall apply subject to the proviso that the default interest rate is 8 % above the base lending rate. (4) The Customer shall be permitted to make an offsetting with any of the Customer’s counterclaims only if they concern undisputed or legally upheld payment claims. The assertion of a right of retention by the Customer owing to counterclaims that have not been recognized or legally upheld shall be barred insofar as these claims are not based upon the same contractual relationship. (1) In the event that justified complaints are made, Erich Baumeister GmbH shall, subject to the exclusion of any other warranty claims, make a replacement delivery or a rectification at its own expense and as it so chooses. If the replacement delivery or rectification fails, then the Customer shall, as it so chooses, either reduce the purchase price/fee or rescind the agreement. The supplier’s warranty shall be based upon the law. If consumer goods are being purchased, the warranty timeframe shall be 24 months after delivery is made. In the event that the Customer is an entrepreneur, the warranty shall be limited to one year and Erich Baumeister GmbH shall be entitled to, as it so chooses, either repair the product or make a free-of-charge replacement delivery. - Based upon the amounts in the last two groups of cases, for providing compensation for typically foreseeable damages. Any contributory negligence upon the part of the Customer must be taken into consideration. Liability owing to intentional wrongdoing, any guarantees made or warranties provided, deceit or for personal injury as well as in accordance with the German Product Liability Act shall remain unaffected. (1) In the event that Erich Baumeister GmbH cannot render the performance owed owing to force majeure (particularly war or natural catastrophes), then it shall be released from its performance obligations for the duration of the hindrance. (2) If Erich Baumeister GmbH is unable to fill the order or supply the goods for longer than one month’s time owing to force majeure, then the Customer shall be entitled to rescind the agreement. Erich Baumeister GmbH shall adhere to all directives under data protection law, particularly the directives of the Teledienstdatenschutzgesetz [German Teleservices Data Protection Act]. The place of performance and sole legal venue for all services, claims and obligations shall be the commercial residence of Erich Baumeister GmbH. However, it shall also be entitled to take legal action against the Customer in its general legal venue. All legal relationships which are created owing to and in conjunction with the conclusion, implementation and winding-up of the agreements and the business relationship must be assessed based upon the law of the Federal Republic of Germany that is prevailing at the time that the agreement is concluded subject to the exclusion of the provisions of the Haager Kaufrechts-Abkommen [Hague Convention on the Law Applicable to the International Sale of Goods] and the Uncitral Convention. This shall also be valid for form-related issues. (1) The contractual language shall be German. (2) In the event that a provision of these Terms and Conditions should be or become invalid, then the remainder of the Terms and Conditions shall remain valid. Erich Baumeister GmbH and the Customer shall replace the invalid provision with a valid provision which most closely corresponds to the commercial intent of the contractual partners.